The temperature in our room was rather cold, and we were not able to adjust the thermostat. However, we didn’t feel the problem was serious enough to report it to hotel staff. Great service! Awesome room. We were treated great by the staff. Will stay here again. Walking distance to everything that is NOLA. The staff are really friendly. Nice looking hotel. Location is great. Beautiful hotel and great staff. Everyone was very accommodating. Great location, beautiful property and super clean! ALL the staff are very friendly. Beautiful, loved the roof top pool close enough to Bourbon st. that we could enjoy it and far enough back that the 24hour craziness and noise were not at all an issue. staff were very friendly and helpful. would recommend! Great staff, very friendly and helpful. Nice location. Easy walk to many areas. Heart of French Quarter - close to Bourbon St., Royal St, Jackson Square, Cafe du Monde, and the Hop on Hop off tour office. 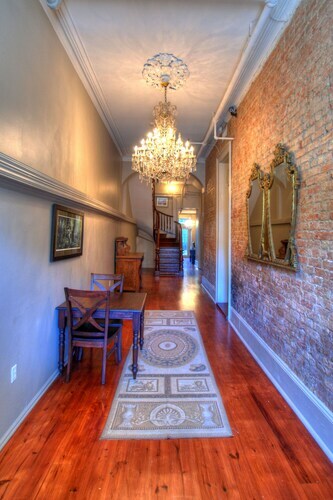 The location is great - about three blocks from Bourbon Street and around five blocks from Jackson Square. All in all we loved the location its close to everything; we walked everywhere and we're close to the tours, Jackson square, tons of restaurants. Fav restaurants: Sylvain, happy 2nd for balcony looking over Jackson square at Tableau, New Orleans Creole cookery for delicious oysters and seafood! 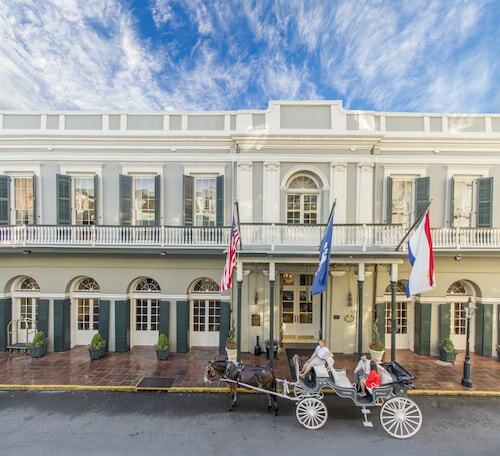 Location is terrific - half a block from Bourbon street and a ten minute walk down to Jackson Square but right on the side of the Warehouse District. Jackson Square is located in a historic area of New Orleans known for its array of dining options and bar scene. The neighborhood is home to 122 hotels and other accommodations, so you can find something that works for your stay. After you've visited Jackson Square, you can discover the sights and attractions within a couple miles of the area. You'll want to browse the collections at National World War II Museum, Mardi Gras World, and Audubon Insectarium. Cafe Du Monde, Bourbon Street, and Frenchmen Street are notable landmarks to explore if you're in the area. You can watch performances at Preservation Hall, Saenger Theatre, and Le Petit Theatre Du Vieux Carre if you're interested in local theater. French Market and Canal Street are some sights worth a visit in the area. Spend some time checking out Audubon Aquarium of the Americas, which is 0.5 mi (0.8 km) from Jackson Square, or make a stop by Mercedes-Benz Superdome, located 1.2 mi (1.9 km) away.